at your local book store. Its packed with great ideas, tips and it features the finest range of suppliers in Malaysia for all your wedding needs...including us of course! 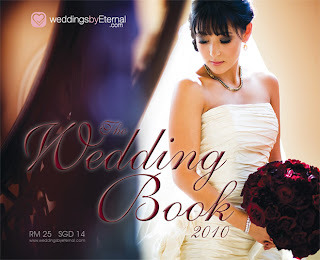 It retails for only RM29 and comes with another magazine 'Signature Weddings', if you are planning to buy one wedding guide this year let it be The Wedding Book.